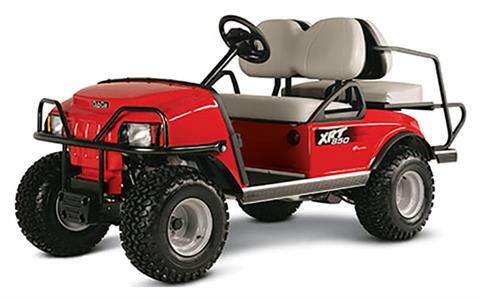 Versatile utility vehicles are perfect for everything from cruising the beach with your family to hunting in the woods with your buddies. Whether you choose the powerful 14 hp (10.4 kW) rated Subaru EFI gas or a 13 hp (9.7 kW) peak rated electric powertrain, it’s a great, affordable choice for work or play. LIMITED SLIP DIFFERENTIAL: Utility vehicles used in hunting or work applications often cover wet, hilly and rough terrain. But this can cause problems with traction and steering for many two-wheel drive models. It can also damage lawns when the vehicles are used on grass. 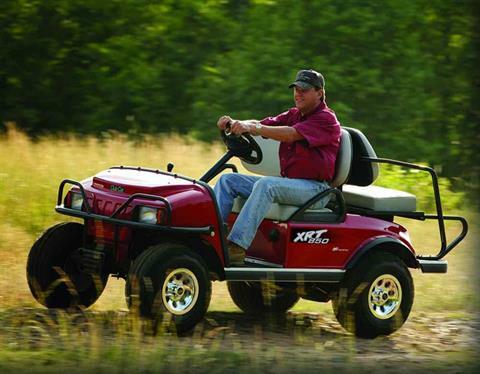 The XRT850 solves these problems with a limited slip differential, giving it the traction and handling you need in a vehicle small enough to fit in a pickup truck.